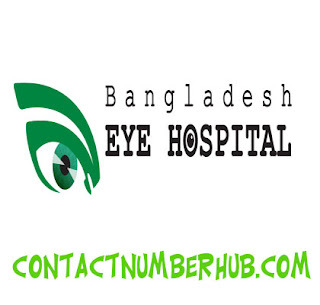 Bangladesh Eye Hospital contact number is along with some essential information, including address, location, branches detail and many more. With the rapid growth of eye problems in Bangladesh, the importance of a specialized hospital for the treatment of eye related diseases was needed hardly. Bangladesh Eye Hospital was established with this mission on the September 18, 2005 in the Dhaka city aiming to serve eye related diseases with reasonable prices. Since then, it has been kept pace with international standard of ophthalmology services. It offers comprehensive eye healthcare services in Bangladesh with the latest surgical, diagnostic and medical facilities. All of its services are provided by the specialized doctors, subservient nurses along with the skilled medical technologists using state of the art and other modern technologies. Bangladesh Eye Hospital Limited is continuing is committed and promised services in the eye sector of the country. It has 5 more branches in Dhaka city and Chittagong to serve the nation. Currently, it has 93 eye consultants with 41 medical officers along with more than 570 staffs. All of them are constantly strived their best effort to serve the people of Bangladesh with eye care. It also operates its services through the various aids of individuals and organizations. The services are provided from the hospital, including Cataract, Lasik, Vitreo Retina, Glaucoma, Ocular Inflammation/ Uvetis, Orbit, Oculoplasty & Oncology, Children Eye Care, Eye Donation & Eye Bank, Neuro Opthalmology, Cornea, investigation, fellowship & training etc. This eye hospital starts it journey with the goal of offering the top quality eye care services in the country. It’s equipped with the latest and modern technology . Bangladesh Eye Hospital Limited is running with the mission of providing the high standard eye care in the country being the part with the globalization along with the dedication of warm Bangladeshi hospitality. The scenario of eye care is evolving swiftly in Bangladesh. At the time of world modernization to be equal with the current world, both outstanding clinical expertise as well as the most recent technology in instrumentation is necessary. Some of the services of Bangladesh Eye Hospital are including Contact Lens, Uveitis Clinic, Lacrimal Diseases, Low Vision, Cataract & Comprehensive Ophthalmology, Vitreo-Retina, Glaucoma, Cornea & External Diseases, Pediatric Ophthalmology, Oculoplasty & Aesthetic Surgery, Refractive Surgery & LASIK and Neuro Ophthalmology. It also offers some Educational and Research programs, including anterior segment, Patient record archiving and many more.